Welcome to August my dearest friends! I am so excited for this month. I am taking a vacation for a week (and its gonna be filled with books and science – my two absolute favorite things). Last month, I planned to read 6 books, and managed to finish 8 so this month, I am going to plan for 7. I might be a little busy getting ready for vacation the first week so my goal is to squish most of my reading in throughout the middle and end of August. But if I find other time to read, you can bet I’ll be reading. In no particular order, here are my planned reads for the next month… let me know which you plan to read so we can fangirl about them together. Of course, if I am gonna read the first in the series, I might as well go ahead and read the next one. 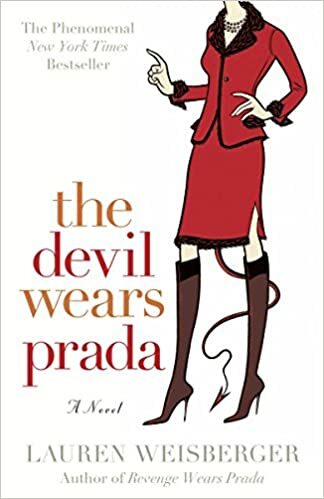 I saw this all over bookstagram and since I am currently loving The Devil Wears Prada, I am coming back for this one. I’m really looking forward to a more emotional, war time read in If You Leave Me. I’m hoping the romance and loss is going to draw me in completely. I haven’t really cried since The Widow’s Watcher, so maybe I’ll get a cleansing cry out of this one. The cover is beautiful too, so look our for lots of pictures on my IG. It was pointed out to me that this book sounds like a fantasy book about like a mermaid or something, which made me a little sad that the title was wasted on a nonfiction book about seaweed… but I’m still looking forward to this read. I’ve always been a little curious about seaweed and the idea that it could feed the world so this will be a shot of nonfiction. Synopsis: “Seaweed is ancient and basic, a testament to the tenacious beginnings of life on earth,” writes Susan Hand Shetterly in this elegant, fascinating book. “Why wouldn’t seaweeds be a protean life source for the lives that have evolved since?” On a planet facing environmental change and diminishing natural resources, seaweed is increasingly important as a source of food and as a fundamental part of our global ecosystem. As much as I hate romances (because usually they’re so typical and overdone) I picked yet another book with romance in it. This one though, has betrayal, and mystery, which is all part of its charm. I can’t wait to fall into the 1930s! This one is suggested for readers aged 12-18, but as always I don’t believe in sticking to suggestions. This one is about a subject I know nothing about, so I’m excited to learn more. However, it does deal with institutionalized racism, which as a white person, is important to be aware of and know about. Synopsis: On Easter Sunday of 1873, just eight years after the Civil War ended, a band of white supremacists marched into Grant Parish, Louisiana, and massacred over one hundred unarmed African Americans. The court case that followed reached the highest court in the land. Yet, following one of the most ghastly incidents of mass murder in American history, not one person was convicted. The opinion issued by the Supreme Court in US v. Cruikshank set in motion a process that would help create a society in which black Americans were oppressed and denied basic human rights – legally, according to the courts. These injustices paved the way for Jim Crow and would last for the next hundred years. Many continue to exist to this day. As always, I try to do a book for the middle grades. This one is a nonfiction account of Normany, which is always great to read about. I feel like every time I learn something new. Also, this one is supposed to be incredibly representative of minority groups. Hopefully, I can read this and recommend it to all the kids I know! Synopsis: Sibert Honor author Deborah Hopkinson brings her signature action-packed narrative style to one of the most crucial battles of WWII. The WWII invasion known as D-Day was the largest military endeavor in history. By June 6, 1944, Hitler and his allies had a strong grip on the European continent, where Nazi Germany was engaged in the mass extermination of the Jewish people. The goal of D-Day was the total defeat of Hitler’s regime, and the defense of free democracies everywhere. Knowing they had to breach the French coast, the US, Great Britain, and Canada planned for the impossible. D-Day was an invasion not for conquest, but liberation, and required years to plan and total secrecy to keep the advantage of surprise. Once deployed, Operation Overlord involved soldiers, sailors, paratroopers, and specialists. Acclaimed author Deborah Hopkinson weaves together the contributions of not only D-Day’s famous players, but African Americans, women, journalists, and service members in a masterful tapestry of official documents, personal narratives, and archival photos to bring this decisive battle to vivid, thrilling life. Which one sounds like a read you’d enjoy? Will you be joining along or pre-ordering any of these? As always message me, or comment and let me know! 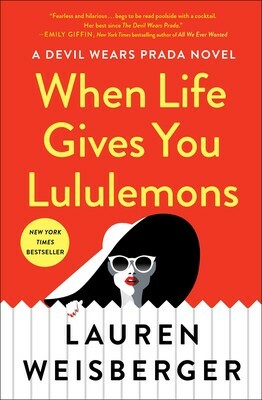 Happy August and happy reading! !